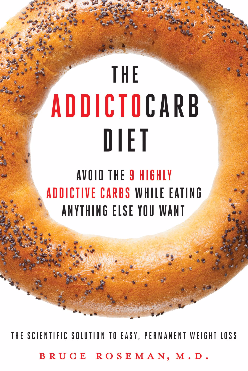 Dr. Bruce Roseman the author of book "The Addictocarb Diet: Avoid the 9 Highly Addictive Carbs while Eating Anything Else You Want" joins eHealth Radio and the Diabetes, and Health News Channels. Dr. Roseman is a family doctor in practice in Manhattan for over 30 years affiliated with Mount Sinai Hospital. Why are certain carbs so dangerous? What are the steps to take to eliminate a carb addiction? It seems simple, but why can’t people shake the addiction? Why does your diet, as opposed to Weight Watchers, work? Does your diet prohibit chocolate? What foods do you recommend that listeners eliminate as everyone thinks about weight loss and resolutions to live healthier? 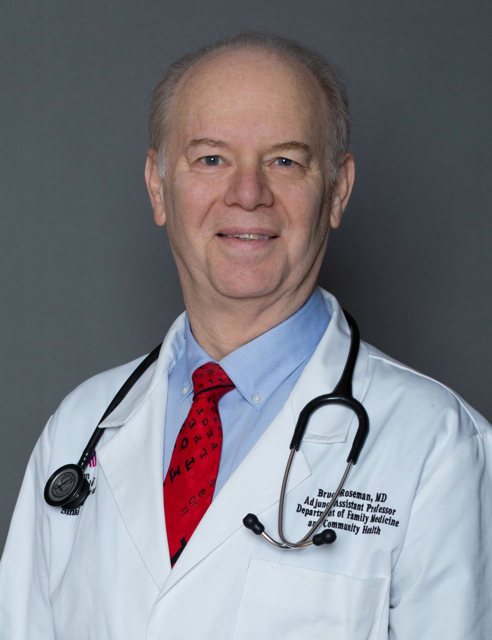 Dr. Bruce Roseman has been a Family Doctor in private practice in Manhattan for 30 years, and is affiliated with Mount Sinai Hospital where he holds joint appointments in the departments of Family Medicine and Ob/Gyn. He has served as medical editor for several food/health-related books and magazines including The Olive Oil Cookbook, The Low Cholesterol Oat Cure, Whittle’s The Health Report, Big Bird Goes to the Doctor (Sesame Street), and as a medical columnist for Woman’s World. Dr. Roseman has appeared on numerous television and radio programs as a medical expert, including Live Wire (PBS), The Human Condition (NPR) Good Day New York, The Queen Latifah Show, and The Joan Lunden Show, and has been featured in magazines such as Guideposts and Parent. He is also the author of A Kid Just Like Me (Penguin/Putnam, 2001), which details a popular method he invented to teach children with learning disabilities to read, while working with his son. Dr. Roseman lives happily, in New York City, with his wife of over a quarter century, Ellen, and is proud to be the father of two fine young men, Joshua and Aaron.